The last thing you want when you leave your house in the morning or when you return to it at night is to have to deal with some type of a problem with your garage door. Seeing as this complex system is under a lot of stress on a regular basis, this type of scenario isn't uncommon, unfortunately. When your door breaks down, you'll want to reach out to professionals who can quickly get it working again, without charging you an arm and a leg for it. That's when our team comes into play. 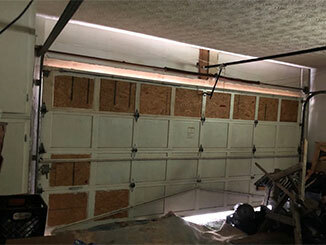 Perhaps the most common problem you could end up facing is a broken garage door spring. These components support the weight of the door, so it's only natural for them to eventually snap. Of course, trying to replace them on your own is highly ill-advised, seeing as there's a lot of tension involved, and any wrong move can lead to serious injuries. Rather than taking needless risks, simply let our technicians complete this task for you safely and quickly. As useful and technologically advanced as your garage door opener may be, it can still experience all sorts of issues. Whether it's the drive system, circuit board, or the motor that's causing the malfunction doesn't matter. Our experts know exactly how to fix any type of problem this motorized unit may suffer from. If the component in question is too badly damaged, we'll simply replace it with a new one, thus making sure your opener is quickly up and running again. Our team at Garage Door Repair Orange Park can troubleshoot the problem and find the best solution for it. If your door won't open, or suddenly slams down unexpectedly, we're the team you need to call.